Wynonna & The Big Noise (7:30 p.m., Wheeler Opera House). Don’t miss this iconic and award winning country music singer as she performs this Tuesday night at the Wheeler Opera House. Tickets can be purchased online here. Big Gigantic at Belly Up (9:00 p.m., Belly Up). Spend your evening with Big Gigantic, a band who has quickly become one of the most celebrated acts of music. Their eclectic mix of tracks spanning from electronic and dance to hip-hop and Electro soul will have you dancing all night. Purchase tickets at the box office or online here. From Cosmological Observations to Fundamental Physics: Past, Present, and Future (5:30 p.m., Wheeler Opera House). The last physics lecture of the season will feature renowned scientist Cora Dvorkin she discusses her exciting insights and answers questions on her current research. Flying Fish Film Tour (7:00 p.m., Wheeler Opera House). With an emphasis on the people, places and fisheries that help make up the vast world of fly fishing, the 2019 F3T will take you from Alaska to Florida, South Dakota to French Polynesia, British Columbia to the coast of Australia and more! This remarkable evening of outdoor cinema is an adventure you won’t soon forget. Grab your fishiest friends and we’ll see you at the show! The Grand Traverse (through March 30, Crested Butte to Aspen). The Grand Traverse is a backcountry ski race from Crested Butte to Aspen, Colorado. 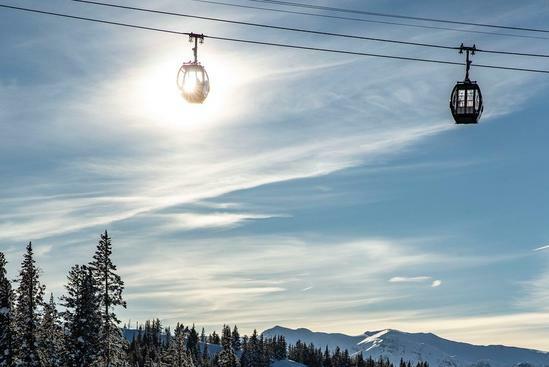 This 40-mile backcountry ski race spans an old mail route from the 1880's that connects the towns of Aspen and Crested Butte. Aspen Cares Theatrical Fashion Show (9:00 p.m., Belly Up Aspen). This one-night-only theatrical show weaves fashion, dance, movement, music and story into a seamless choreographed performance. Donated fashions from high-end designers to streetwear lines are used as costuming for the models, dancers and actors as they present on-trend fashions to Aspen, while raising money for mental health. The beneficiary of this theatrical extravaganza is the Aspen Hope Center whose mission is to extend a beacon of hope to those in emotional crisis, providing suicide prevention services and care to those in need, in and around the Aspen, CO area. 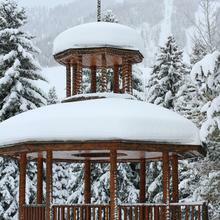 History Ski Tour: Aspen Mountain (11 a.m. and 1 p.m., meet at guest service cabin below the Sundeck). Learn about the amazing mining and ski history lying literally beneath your feet as you tour Aspen Mountain with a long-time local historian. Jas Café with Deva Mahal (through March 30, The Little Nell). 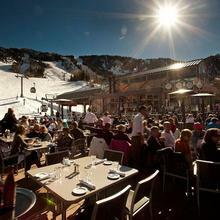 Join Jazz Aspen Snowmass as they feature genre-defying soul singer, Deva Mahal, in the final performance of the season. Purchase tickets online here. G. Love & Special Sauce at Belly Up (8:00 p.m., Belly Up). You can expect a high energy mashup of funky beats and songs written from the front porch to get the world smiling and dancing to the positive message of Love and the Blues with this fun band. Purchase tickets at the box office or online here. Aspen Ascent Experience (8:00 a.m., Buttermilk Mountain). 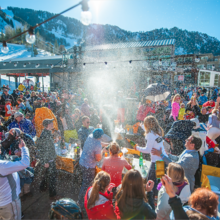 In partnership with Aspen Skiing Company and City of Aspen, the Aspen Ascent Buttermilk Uphill Festival will return for the third year in a row with gear demos, vendors and uphill clinics. All skiers, trail runners, snowshoers, split boarders, hikers and all non-mechanized uphillers are welcome. Buddy Guy at Belly Up (7:00 p.m., Belly Up). Celebrated as one of the world’s leading bluesmen, Buddy Guy will be performing at Belly Up on Monday night. Purchase tickets online here or at the box office.